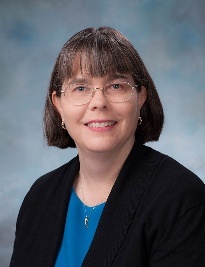 Dr. Suzanne Huerth is the Senior Science and Technology Manager (SSTM) Chief Technology Officer and 7.0 Competency Lead for Space and Naval Warfare Systems Center (SPAWARSYSCEN) Atlantic. Dr. Huerth is responsible for managing laboratory-directed science and technology stewardship programs to include science, technology, engineering, and mathematics (STEM) activities and Naval Innovative Science and Engineering (NISE). She provides technical stewardship and strategic guidance for the SPAWARSYSCEN Atlantic Science and Technology department. Dr. Huerth engages with the SPAWAR HQs CTO, Navy Warfare Centers, industry, academia, PEOs, SPAWAR Headquarters, NAVSEA, ONR, OPNAV, DARPA, OSD and our customers to implement a holistic science and technology strategy across all technical capabilities the Navy employs in support of the warfighter. Dr. Huerth has served in numerous SPAWARSYSCEN Atlantic technical roles during her career including one of five department chief engineers. As a senior engineer, Dr. Huerth was expected to understand the current technologies being integrated into the systems as well as the emerging technologies and provide guidance to the project teams on these technologies. In her 8 years as a department chief engineer, Dr. Huerth exceled in developing metrics and measures to aid in managing the diverse work in her assigned department. Dr. Huerth has significant science and technology expertise, specifically in C4ISR, cyber and space, and from an enterprise/interoperability perspective in direct support of the warfighter. Dr. Huerth received her Bachelor of Science degrees in Mathematics and Physics from North Carolina State University in 1989. In 1998 she earned a Master of Science in Physics followed in 2001 with a Doctor of Philosophy in Physics specializing in materials characterization using scanned probe microscopy from North Carolina State University. Dr. Huerth is a 2013 graduate of Naval Post Graduate School's distance learning program earning a Master of Engineering in Electrical Engineering.